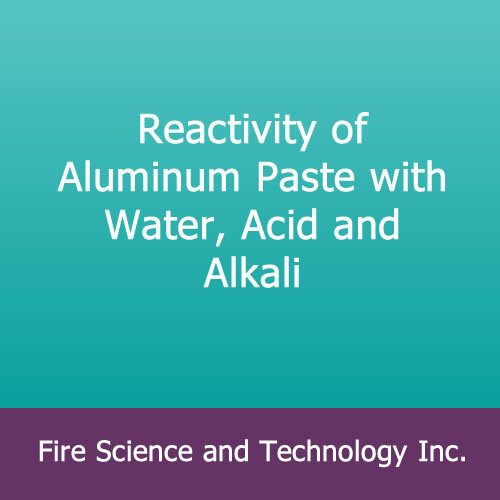 Reactivity of Aluminum Paste with Water, Acid and Alkali – Fire Science and Technology Inc.
Reactivity of Aluminum Paste with Water, Acid, and Alkali, by T. Meguro, N. Torikai, and Y. Kobayashi, Keikinzoku (J. Japan Institute of Light Metals) 29:6, 219-222 (1979). English translation from Japanese. This work relates to the safety of aluminum pastes contacting with water in transportation or on storage. 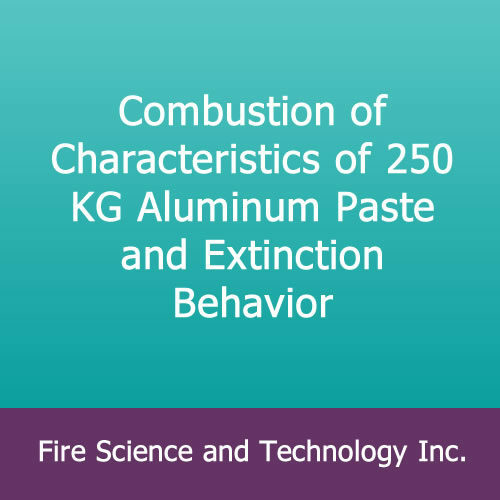 Pastes containing aluminum powders 50 to 90 wt%, and stamped and atomized powders were tested. 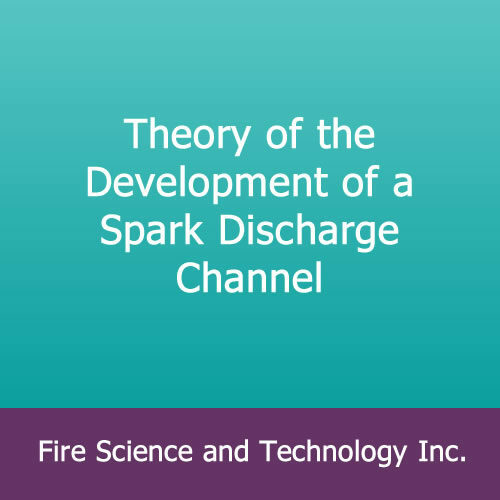 Hydrogen gas volume evolved in the reaction in a thermostat at 30 degrees C was measured as a function of reactivity. 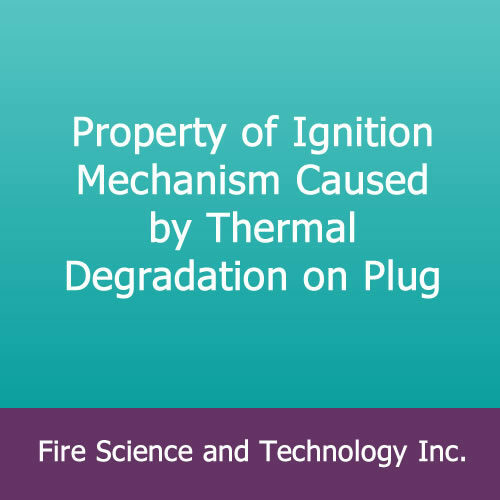 The aluminum pastes and stamped powder are free from the reaction with water. The atomized powder easily reacts. The aluminum pastes are also free from reactions with hydrochloric acid and sodium hydroxide solution at pH 2 to 11. 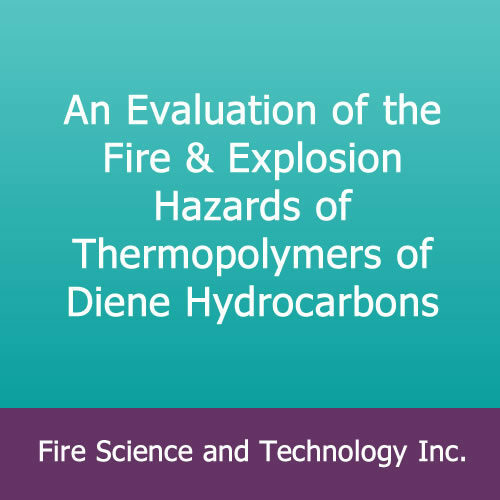 Any indications of the dust explosion are unrecognized. The aluminum pastes seem to be quite safe for the reaction with water whereas this is not true of the atomized powder.